Healing herbs of the Ancient Celts might not come to mind when you think of traditional healing. But these herbs are something you should consider in honor of St. Patrick’s Day as they are very effective in treating specific ailments. St. Patrick’s Day lets everybody be Irish for a day; even if the extent of which is getting decked out in a green T-shirt and drinking green beer. But really, who doesn’t want to feel the luck o’ the Irish for just one day? And depending on how lucky you were feeling, you might not be as chipper tomorrow. Luckily, healing herbs of the Ancient Celts can help in your recovery. 1. Dandelion: This might be your first option if whiskey and Guinness make an appearance for you this afternoon. 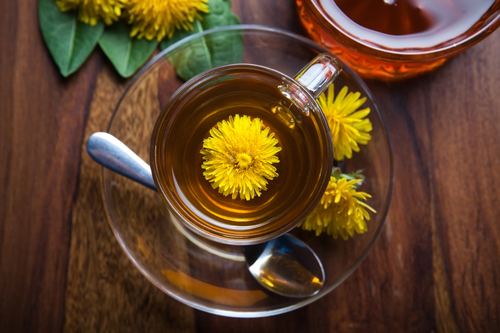 The Celts used dandelion root to treat fevers, while also using it as a natural detoxifier, blood cleanser, and digestive aid. Dandelion root stimulates the liver and kidney to remove toxins and keep you healthy. 2. Bilberry: Also known as huckleberries or whortleberries, these fruits have powerful antioxidants that might offer a number of health benefits, including strengthening the blood-brain barrier to prevent memory loss and to stop harmful substances from reaching the brain. Antioxidant properties in bilberries—mainly anthocyanidins—are thought to protect arterial walls from blockages, protect the immune system, aid vision, and help skin maintain elasticity. 3. Burdock: This herb was held in very high regard by the Celts for its nutritional and medicinal value, and it was used to help detoxify major organs. It’s believed to have triggered the body’s excretory systems to move out excess fluids and toxins, essentially acting as a diuretic. The Celts also used burdock root to help treat acne, psoriasis, and eczema. It’s also highly alkaline and can be used as an anti-inflammatory herb to treat arthritis, sciatica, or gout. With these remedies, you can employ some Irish luck a little more than once a year. Have a safe and happy St. Patrick’s Day! Morris, G., “Healing Herbs of the Ancient Celts,” Hub Pages web site, November 6, 2014; http://hubpages.com/health/Healing-Herbs-of-the-Ancient-Celts, last accessed March 17, 2016.